Falcon Lakeside Manufacturing can provide the means to introduce new technologies into your company's current process, or assist you with new process development. 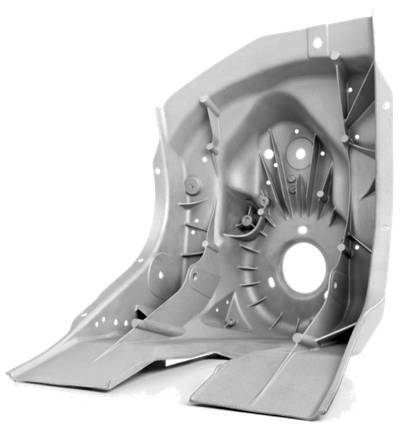 Technologies already implemented include various high-vacuum technologies for production of heat-treatable, weldable structural die castings with special mechanical properties. Our team has also developed extensive experience in new die and tip lubricant technologies. The availability of a squeeze cast machine at Falcon Lakeside Manufacturing, Inc. has enabled structural squeeze cast development, as well as metal-matrix composite technologies. 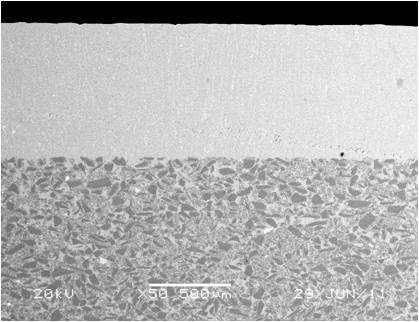 Below, a Metal Matrix Composite - SiC Preform infiltrated by an Aluminum alloy is shown. The Aluminum alloy infiltration was performed using squeeze cast technology.